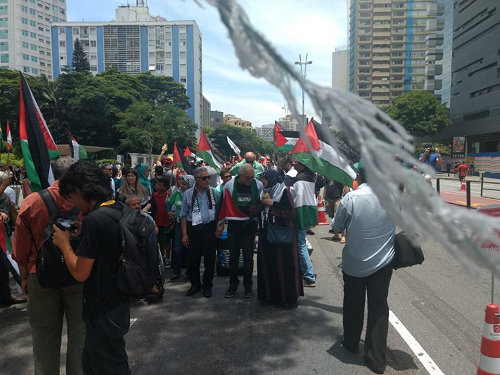 Around 200 protesters were present, on the last Sunday, December 10, 2017, in the main avenue of São Paulo, convened by the Frente em Defesa do Povo Palestino (Front in Defense of the Palestinian People (see on facebook). 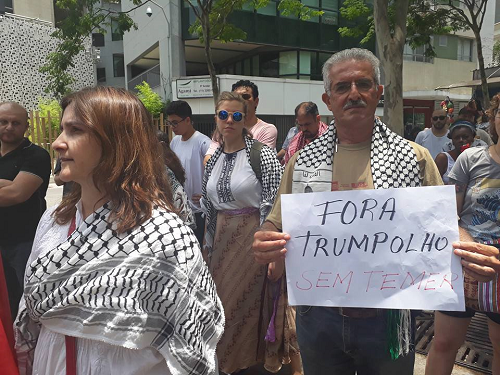 The demonstration was also attended by Brazilian citizens and various groups, mainly from the left, in defense of Palestine and against the unilateral decision of the Trump government to unilaterally declare Jerusalem as Israel's capital. 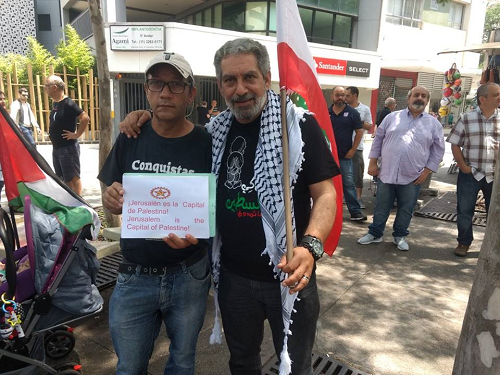 The CCR, the Brazilian section of RCIT, was present. The condemnation of the USA and Israel was unanimous among those present. 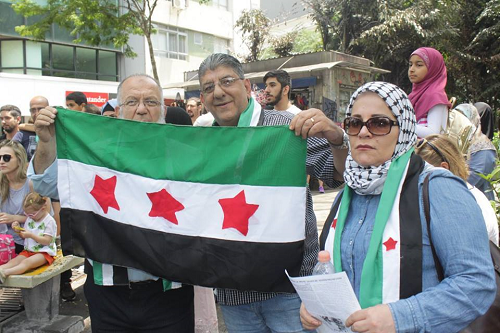 There was some disagreement among Palestinian militants present on the characterization situation in Syria, a few were in favor of the dictator Bashar Al-Assad but were promptly rejected by the majority. All in all the protest was vivid and militant. 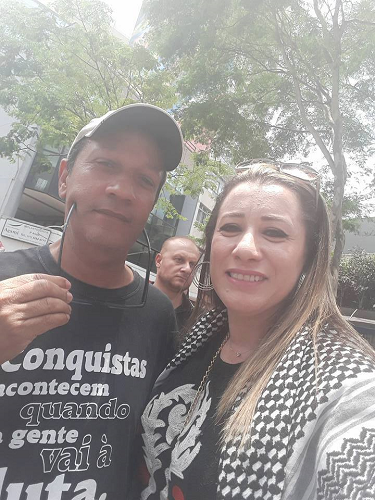 We from the RCIT have a clear position against the Russian imperialism, against the dictator Assad and also against western imperialism (USA und EU) and its role in the region. 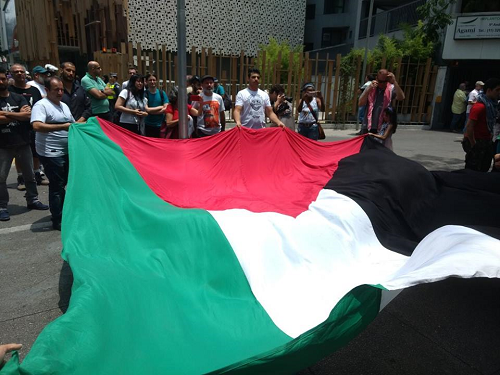 Further, we support the resistance of the Palestinian people against the declaration of Trump. 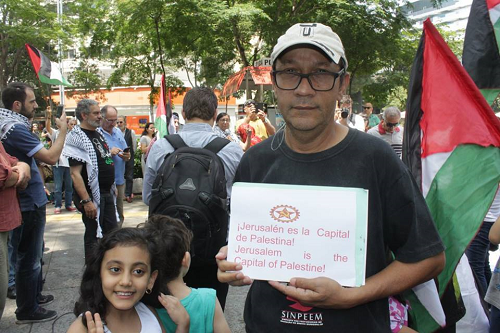 We say clearly: Jerusalem was, is and will be the capital of Palestine! 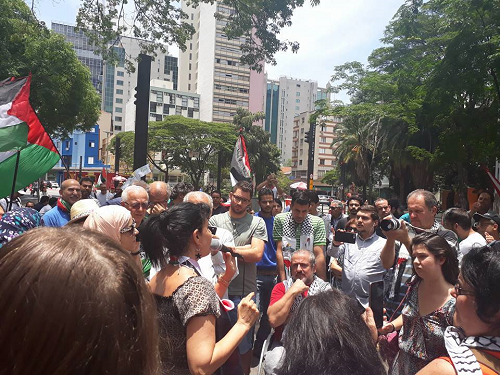 In short, the day of the demonstration was a victory of mobilization and is expected the continuation of a struggle that should not stop. 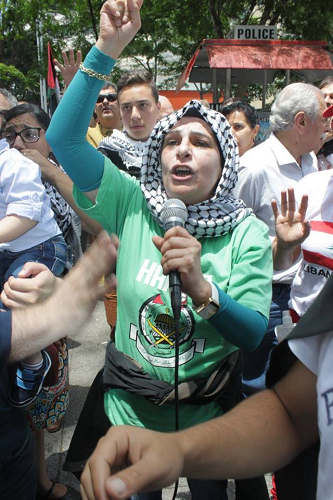 Viva Palestina! Down with the Apartheid State Israel! Down with imperialism!